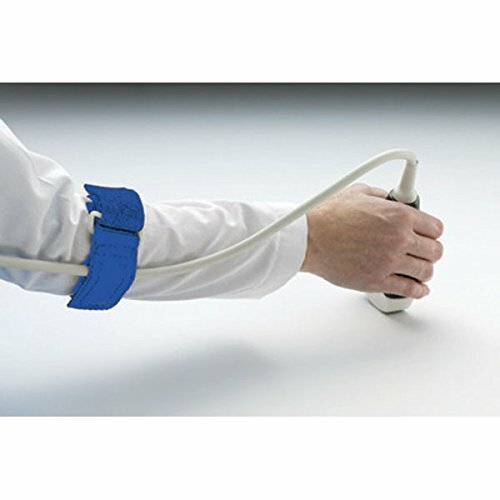 Cable Brace - May be used for symptoms of epicondylitis and/or to reduce the torque that the transducer cable causes to your scanning hand. Prevents draping the cord around the neck and creating risk for neck strain. View More In Radiology & Imaging. If you have any questions about this product by CeilBlue, contact us by completing and submitting the form below. If you are looking for a specif part number, please include it with your message. Uncoated Bariatric Patient Positioning Sponge, Bariatric 45 Degree Spinal Wedge, 10" x 27-1/2" x 7"
Uncoated Extremity Patient Positioning Sponge, Bilateral Adult Oblique Finger Block, 12" x 10-1/4" x 3"
Veterinary X-Ray Positioning Sandbags, 7-lb - 10" x 10"